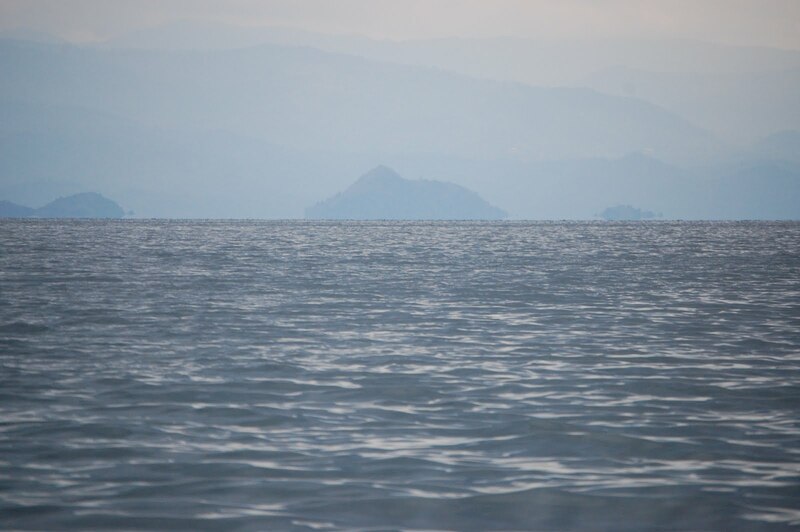 The 1,040 square mile surfaced Lake Kivu makes up the western border between Rwanda a nd the Democratic Republic of the Congo. On the second-to-the-last day on our tour of Rwanda, our day would be spent cruising south from the town of Gisenyi to Cyangugu, where we’d reunite with our drivers and head to the Nyungwe Forest Lodge for the night. Of course, when I say “cruise,” I mean it in the loosest sense in this instance since our ride was by dual engine speed boat. We sped south, the whole time skirting the border of the Congo, as various sights were pointed out to us. The most notable of which, for me anyway, was the Primus Brewery. 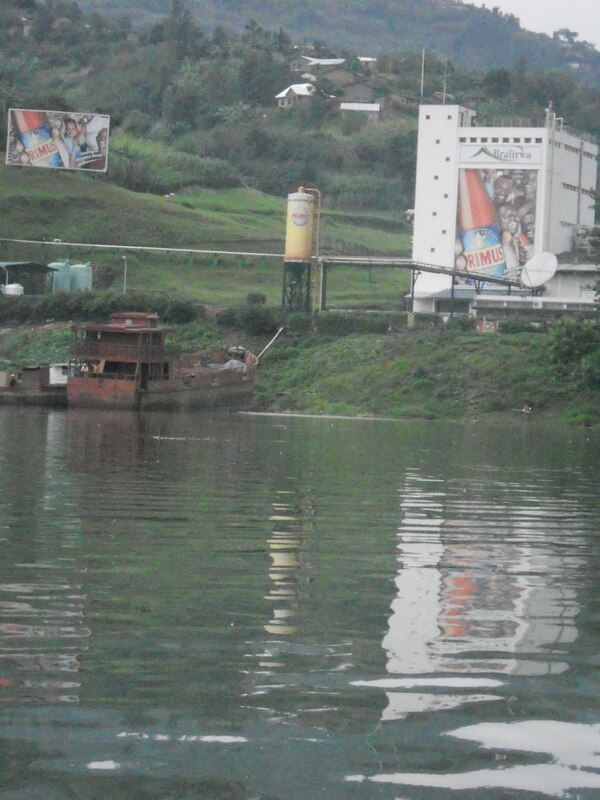 I wept a few tears as I came tantalizingly close to the brewery, but kept far enough away so I couldn’t enjoy a tour of what became a staple drink for many of us during our week in Rwanda. We also passed a methane gas mining facility and many fishermen, none of who looked the least bit happy at our presence as their boats bobbed in the wake of our departure, likely causing enough disturbance to scare away the day’s catch. The highlight of the boat tour was a stop at a small island in the lake where a local dance troupe performed for us for a small fee. It was an excellent performance, punctuated by a farewell song saying they were happy we came and wish we’d return soon, that put a wide smile on my face. I loved their singing and dancing, especially that of a small child that would hopefully carry on the local tradition, as it seemed more a part of who the people really are, opposed to what the government maybe wanted us to see. We walked the steep hill, enjoying stunning views of the lake as we went, to the city hall where some business was taken care of before our departure. And as we walked through the island, word quickly spread about our arrival as children in school uniforms came out to get a peak; others even being brave enough to quickly touch our white skin to see if we were real. It was an interesting experience as, all the while, the dancing and singing continued from the group, having followed us up the hill. Our visit was sadly short as we didn’t have enough time to explore any of the island, save the short dirt road we climbed on the way to the city hall. And I left, reclining in the back of the boat with a rain shower beginning as the spray kicked up on my arm from the boat, looking back at the island and wondering when next the people, an ethnic mix of Rwandese and Congolese, would again have visitors. It wasn’t long until we arrived in Cyangugu, where we briefly stopped at the border to be cruely teased with the opportunity to pass into the Congo so close yet so far. Our obvious interest at crossing the border becoming more and more apparent, so our fixer piled us back into the SUVs to drive up to the lodge, a five star resort, where we would spend an agonizingly short evening before our departure and return home the next day.